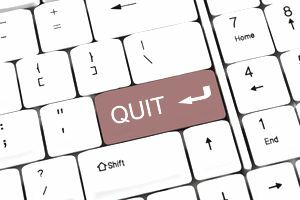 There’s a right way and a wrong way to quit your job – and generally, resigning over email is the wrong way. Think of it this way: If you were the boss, would you want people to send in their notice electronically, or would you prefer to have an in-person conversation? When possible, it's always best to quit in person. A face-to-face conversation shows courtesy to your soon-to-be-former employer and strengthens the relationship as you close this chapter in your career. You never know when you might need a networking contact, a recommendation, or a letter of reference. Your manager is far more like to help you out if you conducted your last days at the office with grace and peak professionalism. That said, there are circumstances under which quitting in person is impossible. When these situations arise, quitting by email might be necessary and the only option. When Is It Acceptable to Quit Your Job via Email? When you work remotely. If your manager is in California, and you’re in Texas, and you telecommute full-time, it makes sense to resign via email. In this case, email is likely one of the ways in which you communicate with your boss most often, so it’s not as abrupt as it would be if you worked together in a physical office. When resigning in person would put you in danger. If you work for an abusive manager or in a psychologically unsafe environment, resigning via email may be your safest option. You’re sacrificing nothing by severing the connection, because it’s unlikely that your boss would provide you with a recommendation anyway. Most importantly, you’re protecting yourself, which comes before career considerations. Even if you do quit your job via email, giving two weeks’ notice is standard practice. However, if going into the office isn't feasible, you may not be able to provide standard notice. Give as much notice as you can in order to maintain a good relationship with your employer. Do not feel like you need to provide details in your letter about why you are quitting. This is also not the space to complain about the company or co-workers. Keep your email brief and include only essential details, since a printout of this letter will likely in your employee file, and may be reviewed if you ever ask the company for a reference. Your emailed resignation letter should be sent to your immediate supervisor, with a copy to the Human Resources department at your workplace. Copy your personal email address on the message (cc: or bcc:) so you have the email in your records. The date your resignation is effective. What the company should do with your final paycheck, if it's not direct deposited and you are not returning to work. Any questions you may have regarding compensation and benefits. How the company can contact you, if necessary. You can also include a polite thank you to the company and/or your manager. Make the subject line to your email "Resignation - Your Name." Using this straightforward subject line will ensure that your manager doesn't overlook this important piece of correspondence. Your email message should state that you are resigning and include the date when your resignation is effective. The next (optional) section of your resignation email message should thank your employer for the opportunities you have had during your employment with the company. Conclude your resignation email message (also optional) by offering to assist with the transition. My apologies for notifying you by email, however, circumstances are such that I will no longer be able to come into the office. Please accept this email message as notification that I am leaving my position with CDF effective January 1 due to personal reasons. I appreciate the opportunities I have been given at the company and your professional guidance and support. I wish both you and the company much success in the future. Please let me know what to expect as far as my accrued personal leave time and my final paycheck.